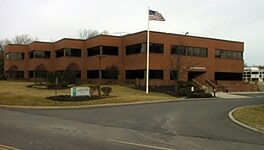 Main Office - Princeton Orthopaedic Associates, P.A. - Distance: 14.9 miles Approximate Travel Time: 31 mins. Start at HWY 33, HAMILTON on RT-33 going towards ROBBINSVILLE ALLENTOWN RD – go 0.8 mi. Continue on NOTTINGHAM WAY – go 1.4 mi. Turn RIGHT on MERCER ST. – go 0.4 mi. Turn LEFT on HUGHES DR – go 2.6 mi. Turn RIGHT on QUAKERBRIDGE RD – go 0.7 mi. Continue on PROVINCE LINE RD/QUAKERBRIDGE RD. – go 0.1 mi. PROVINCE LINE RD/QUAKERBRIDGE RD becomes QUAKERBRIDGE RD. QUAKERBRIDGE RD. becomes QUAKER RD – go 2.2 mi. Turn RIGHT on LAWRENCEVILLE RD/OLD POST RD/STOCKTON ST – 1.4 mi. Turn LEFT on BAYARD LN – go 0.6 mi. Continue on STATE RD – go 2.7 mi. Bear RIGHT on CHERRY VALLEY RD – go 0.1 mi. - Distance: 10.2 miles Approximate Travel Time: 22 mins. Start at US HIGHWAY 1, TRENTON on BRUNSWICK AVE/BRUNSWICK PIKE – go 0.6 mi. Take I-95 SOUTH towards PHILADELPHIA – goes 0.7 mi. Take I-95 SOUTH towards PHILADELPHIA – go 0.3 mi. Take the (CR-583 N) exit towards PRINCETON PIKE, exit #8B – go 0.2 mi. Continue on PRINCETON PIKE – go 2.1 mi. PRINCETON PIKE becomes MERCER RD – go 1.3 mi. Continue on MERCER ST – go 0.6 mi. Turn LEFT on LOVERS LN – go 0.2 mi. Turn RIGHT on STOCKTON ST – go 0.6 mi. Bear LEFT on BAYARD LN – go 0.6 mi. BAYARD LN becomes US-206 – go 2.7 mi. Bear RIGHT on PRINCETON AVE – go 0.1 mi. Starting in PENNINGTON, NJ on E DELAWARE AVE – go 0.8 mi. Continue on PENNINGTON ROCKY HILL RD – go 3.5 mi. Continue on CHERRY VALLEY RD – go 4.7 mi. Continue on PRINCETON AVE – go 0.1 mi. Turn RIGHT on REMSEN AVE – go < 0.1 mi. Turn LEFT on SANDFORD ST – go 0.2 mi. Continue on GEORGES RD – go 1.5 mi. Continue towards US-1 SOUTH/TRENTON – go 0.1 mi. Bear RIGHT on US-1 SOUTH – go 3.8 mi. Continue on a local road – go 0.1 mi. Turn RIGHT on FINNEGAN LN – go 1.0 mi. Turn LEFT on RT-27 – go 3.3 mi. Continue on GEORGETOWN-FRANKLIN TPKE – go 2.8 mi. GEORGETOWN-FRANKLIN TPKE becomes WASHINGTON ST – go 0.3 mi. Turn LEFT on PRINCETON AVE – go 1.2 mi. Start at NEWARK AIRPORT on NEWARK AIRPORT/TERMINAL A/TERMINAL A ACC – go 0.1 mi. Take I-95 SOUTH towards CARS/TRUCKS-BUSES – go 17.3 mi. Take the RT-18/NEW BRUNSWICK (US-1) exit towards SHORE RESORTS, exit #9 – go 0.3 mi. Continue towards PRINCETON/TRENTON – go 0.6 mi. Continue on RT-18 NORTH – go 0.5 mi. Continue towards US-1 SOUTH/TRENTON – go 0.3 mi. Continue on US-1 SOUTH – go 6.2 mi. Starting in EWING, NJ on CARLTON AVE – go 0.9 mi. Turn LEFT on PENNINGTON RD – go 0.4 mi. Turn RIGHT on EWINGVILLE RD – go 0.4 mi. Turn LEFT on FEDERAL CITY RD – go 1.0 mi. Take I-95 NORTH/NEW YORK (I-295 S) towards CAMDEN – go 1.6 mi. Take the US-206 NORTH exit towards LAWRENCEVILLE/PRINCETON, exit #7B -go 0.3 mi. Continue on LAWRENCEVILLE RD – go 2.2 mi. Continue on LAWRENCEVILLE RD/PRINCETON RD – go 0.2 mi. Continue on LAWRENCEVILLE RD – go 1.2 mi. LAWRENCEVILLE RD becomes OLD POST RD – go 1.6 mi. Continue on STOCKTON ST – go 0.7 mi. Start at 253 WITHERSPOON ST, PRINCETON going towards BIRCH AVE – go 0.3 mi. Continue on MT LUCAS RD – go 0.1 mi. Turn LEFT on CHERRY HILL RD – go < 0.1 mi. Turn RIGHT on US-206 – go 2.1 mi.